Arnold Palmer brought a country club sport to the masses with a hard-charging style, charisma and a commoner's touch. At ease with both presidents and the golfing public, and on a first-name basis with both, "The King" died Sunday in Pittsburgh. He was 87. 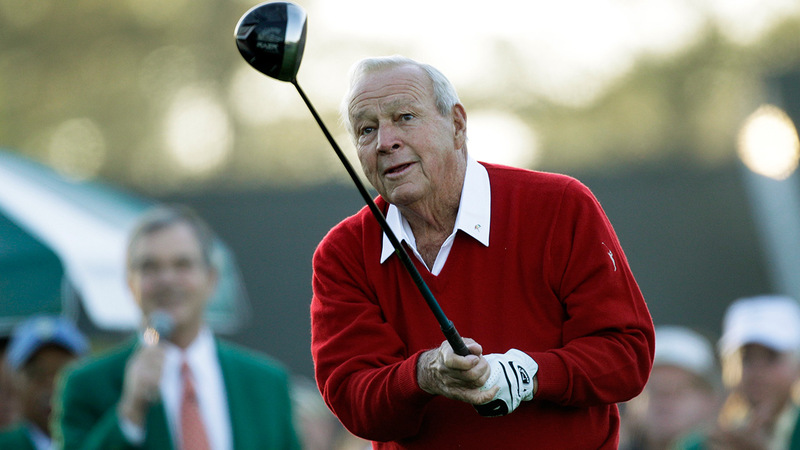 He left behind a gallery known as "Arnie's Army," which began at Augusta National with a small group of soldiers from nearby Fort Gordon, and grew to include a legion of fans from every corner of the globe. It was Palmer who gave golf the modern version of the Grand Slam - winning all four professional majors in one year. He came up with the idea after winning the Masters and U.S. Open in 1960. Palmer was runner-up at the British Open, later calling it one of the biggest disappointments of his career. But his appearance alone invigorated the British Open, which Americans had been ignoring for years. "Think about it," Harrington said. "You don't go up there and order a 'Tiger Woods' at the bar. You can go up there and order an 'Arnold Palmer' in this country and the barman - he was a young man - knew what the drink was. That's in a league of your own." He had two loves as a boy - strapping on his holster with toy guns to play "Cowboys and Indians," and playing golf. It was on the golf course that Palmer grew to become so strong, with barrel arms and hands of iron. Only four other players won more PGA Tour events than Palmer - Sam Snead, Nicklaus and Woods. Palmer's first wife, Winnie, died in 1999. They had two daughters, and grandson Sam Saunders plays on the PGA Tour. Palmer married Kathleen (Kit) Gawthrop in 2005.